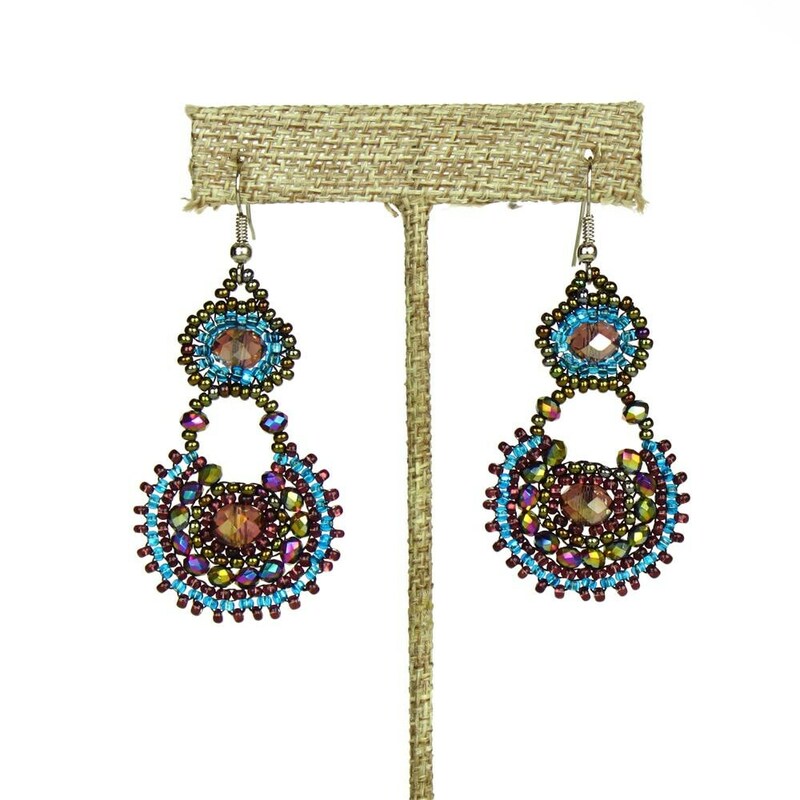 Hand beaded earrings in purple turquoise are entirely handmade. They are very light weight and have a drop of about 2 inches. You will love using them for many years to come.